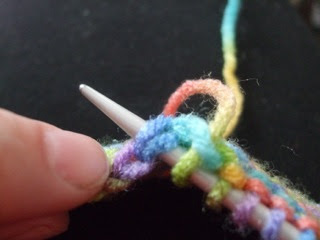 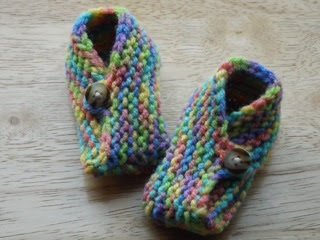 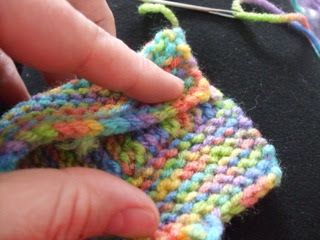 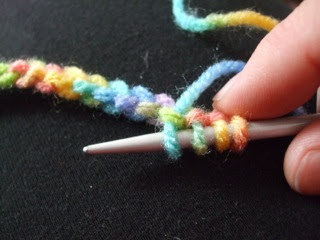 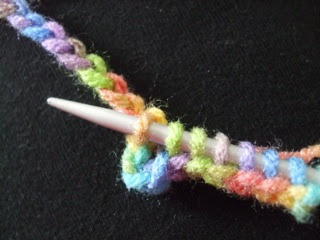 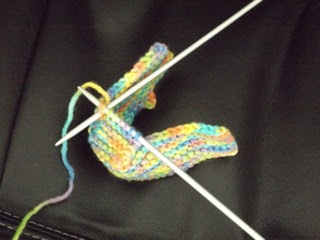 - Knit 2 stitches together then knit across remaining 6 stitches. 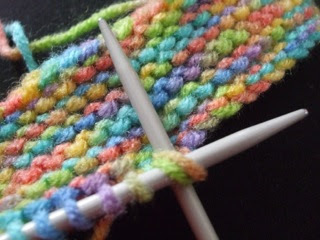 (7 stitches on needle) Repeat from * across for 28 rows or until there are no more stitches to pick up on the Bind Off edges (this is attaching the sides of the slipper to the sole (or bottom) or the slipper). 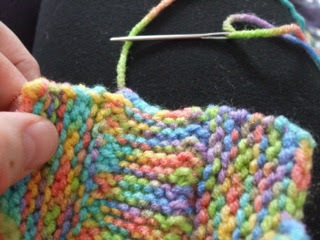 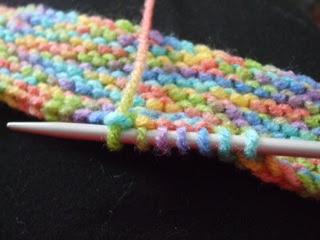 - Last row: knit 2 stitches together and then bind off all stitches on this row. 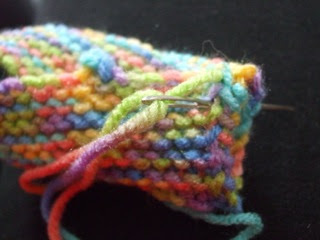 - Fold over side without buttonhole and then fold the buttonhole side over top of that. 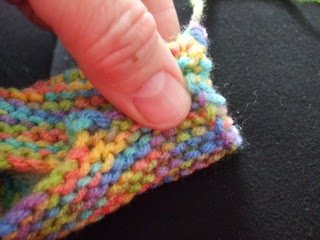 - Seam through all 3 layers to close toe. 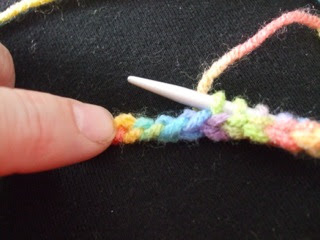 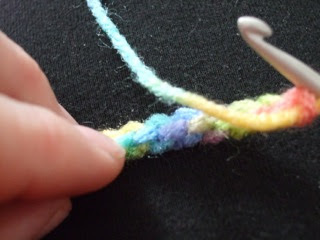 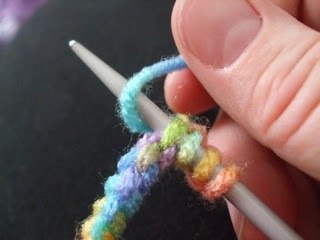 For LEFT SLIPPER: chain 40, use knitting needle & pick up/knit stitches till there are 10 stitches left to be picked up/knit, skip 3 stitches and continue picking up/knitting stitches on last 7 chain/bumps. 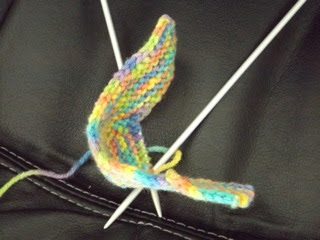 Continue in same manner as for RIGHT SLIPPER.